Evo-Stik Instant Grab Wall Tile Adhesive has the following specification: Size: 1 Litre. Evo-Stik Mould Resistant Wall Tile Adhesive and Grout has the following specification: Size: 10 Litre. Evo-Stik Mould Resistant Wall Tile Adhesive and Grout has the following specification: Size: 5 Litre. Evo-Stik Mould Resistant Wall Tile Adhesive and Grout has the following specification: Size: 2.5 Litre. 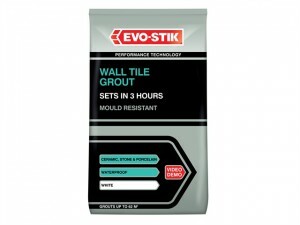 Evo-Stik Mould Resistant Wall Tile Adhesive and Grout has the following specification: Size: 1 Litre. 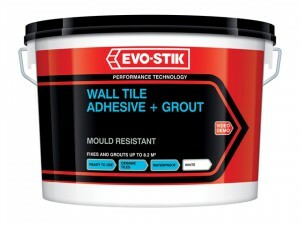 Evo-Stik Mould Resistant Wall Tile Adhesive and Grout has the following specification: Size: 500ml. 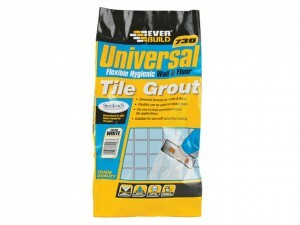 EVBUFLEX5WE Universal Flexible Grout has the following specifications: Colour: White. 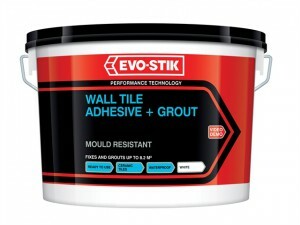 Size: 5 kg. 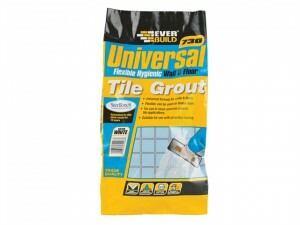 EVBUFLEX5IV Universal Flexible Grout has the following specifications: Colour: Ivory. 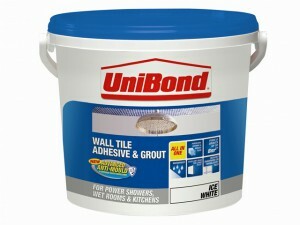 Size: 5 kg. 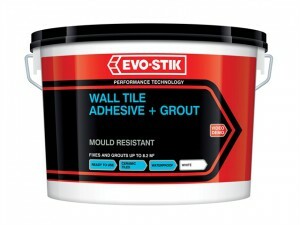 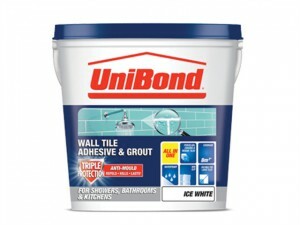 Evo-Stik Instant Grab Wall Tile Adhesive has the following specification: Size: 2.5 Litre. 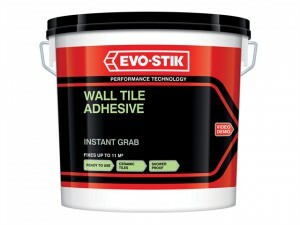 Evo-Stik Instant Grab Wall Tile Adhesive has the following specification: Size: 5 Litre. 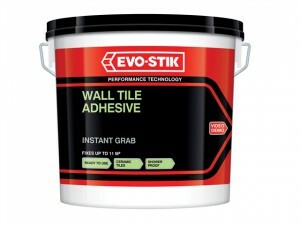 Evo-Stik Instant Grab Wall Tile Adhesive has the following specification: Size: 10 Litre. 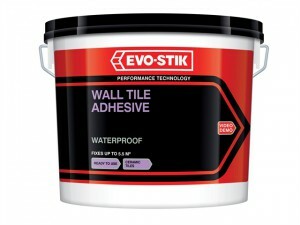 Evo-Stik Waterproof Wall Tile Adhesive has the following specification: Size: 10 Litre. Evo-Stik Waterproof Wall Tile Adhesive has the following specification: Size: 5 Litre.